Chloe is very passionate about acting, singing and dancing. Very enthusiastic, happy and has a bubbly personality. Chloe is very caring and dedicated to all that she does and is always eager to please. Chloe is a passionate and talented young dancer and actor. Chloe attends Studio 74 Ltd performing arts school. Chloe is currently dancing at grade 4 ballet, grade 4 tap and grade 4 modern. Chloe generally achieves a distinction grade in her exams or on 2 occasions, pass with merit. Chloe has been part of 4 different amateur shows which have been for an audience of about removed people at a time. Shows include, movies & musicals, Hairspray, Grease, Annie and thriller. Chloe absolutely loves being on a stage taking part in the shows. Chloe also attends another performing arts school on a Saturday - PopGems Academy, where she does singing, street dance and acting classes. 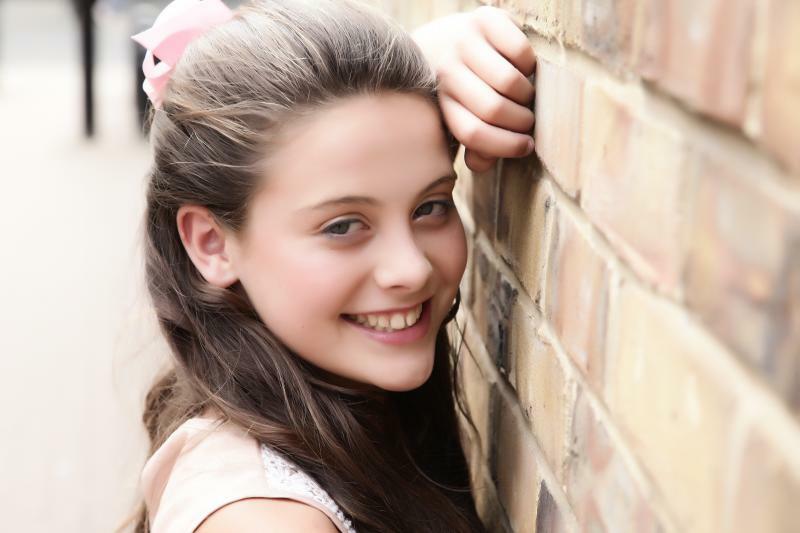 Chloe is very passionate about singing, dancing & acting and even more so now she has spent 6 weeks (18 shows) working along side Stephen Mulhern, Stewart Wright and lots of other talented people in a fabulous pantomime at Fairfield Halls, Croydon. Chloe previously landed herself a main part in a short film in which she was amazing (according to the directors) and loved it therefore would love to pursue this. Chloe has also had 1 years worth of keyboard lessons.